There are moments when I am suddenly struck with deep insight, and it catches me by surprise. There was a moment like this as I sat across for my dear friend Kelsey, talking about some of the things that had been on my heart. "It has been so hard," I told her. "I want to blog about these things, but I can't. If I shared on my blog, because they involve other people, feelings would be hurt or it just isn't mine to share in the first place." "Why is it important for you to share on your blog?" she asked. "Because it is how I cope with things, process what is happening, and see good come from it when people says it encourages them." I didn't even think about my answer, it just spilled out, but in that moment, I gained insight into myself. 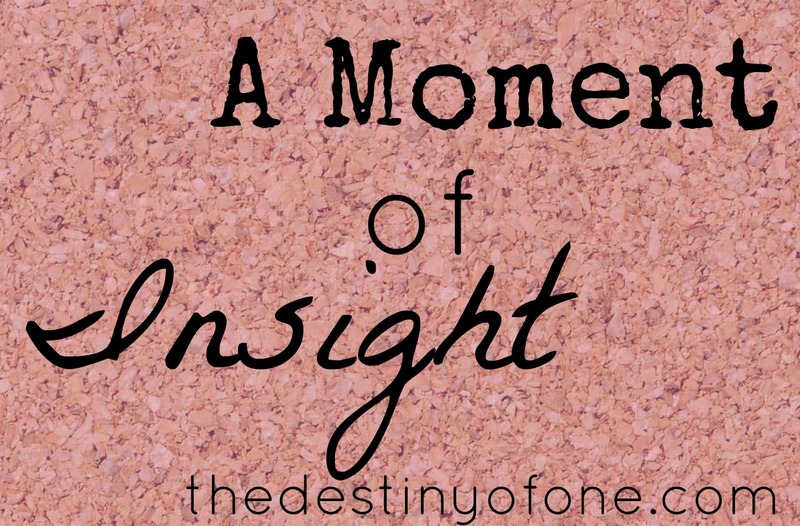 I hadn't even realized that I had done it, but that is often what my most heartfelt blog posts are; me processing and dealing with something that is burdening my heart. In 2015, many of the things that were burdening my heart I couldn't share with the world. It isn't that they are so dark that I am afraid to share, but more often than not they were things that were not mine to talk about. Even though I am a pretty open person, there are some things that don't go past close family and friends. It is probably the second biggest factor in why their were so few blog posts last year, the first being the fact that I didn't make blogging a priority, 2016 is going to be different. I can't promise I can share everything that is on my heart, but blogging is a much higher priority to me. I have missed sharing my life with my readers. 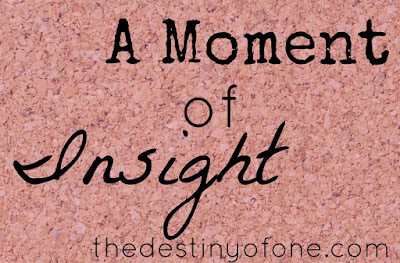 Have you ever had a moment of insight that surprised you? I can really relate to this post. I, too, have struggled with things in the past year and felt that I couldn't share them through blogging -- some of my readers would know what I was talking about. Faith, I am always happy to share. I hope that God blesses you with insight and peace. Want a free book every week? Welcome to my New Writing Corner!